It looks like I was wrong last week when I predicted that the $35 tablet wouldn't happen; it shipped today. Today's tablet has almost nothing in common with the Hivision tablet that the Indian gov't. had been showing off got the past year. Both cost students $35, run Android, and have a 7" screen, but that's about it. And they don't even have the price in common; today's tablet will cost students around $45. The Aakash tablet is running Android v2.2 Froyo on an unknown CPU. It has a 7" resistive touchscreen, Wifi, 2GB Flash, and a microSD card slot. It's not clear what CPU it's using, but some reports list the speed at 366MHz. I hope it's wrong; that's woefully underpowered. The tablet is being provided by Datawind, a Canadian company that (in the past) made a name for themselves with bundling web access into the sale price of a tablet, handheld, or netbook. I came across this company at CES 2011, when they were about to enter the US market with a netbook and tablet. That never happened, unfortunately. Datawind are also about to sell a slightly better version of the Aakash as the UbiSlate 7. It turns out that the $35 (1,750 rupees) price is real, but no one's going to be getting it just yet. That price might happen in the future, but only after the India government places an order for 1 crore (a million) Aakash tablets. Students will instead be paying 2,200 rupees ($45). 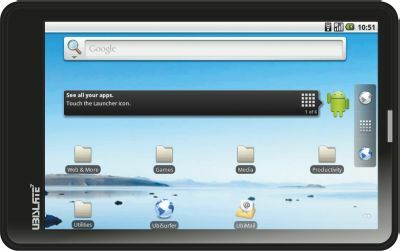 The Indian government negotiated a reduced price for the Aakash tablet by placing an order for 1 lakh (a hundred thousand) tablets as well as pairing down the hardware. The student version of the Aakash is missing some features from the stock model offered by Datawind. For example, it won't have the GPRS connection. That will only be offered in the retail model, which is expect to hit store shelves in December with a price of 3,000 rupees ($60). It may have taken them over a year, but the Indian gov't. did eventually ship a $35 tablet. that's a lot better than what i would expect from most government programs. On the other hand, this tablet sounds rather cheaply made. Is a $60 worth buying if it's junk? I would think that not having a tablet would be better than having a crappy one. The poor quality can interfere with getting real work done. i want to buy this tablet what can i do? now i am in nepal.do u have any solution?